This week, we asked our editors for their favorite scents. For the past year, I’ve been wearing Le Labo’s Bergamote 22. I’m usually drawn to bright scents with citrus or white floral, and this fragrance always feels fresh in the spring and summer. 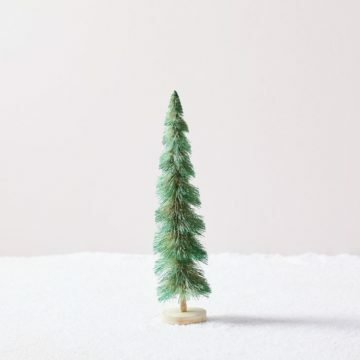 I don’t have one, but it’s one of my 2019 goals to discover my one true scent! I’m willing to throw down for something like that so my plan is to talk to that beautiful man behind the perfume counter at Forty Five Ten and just let him do his thing. 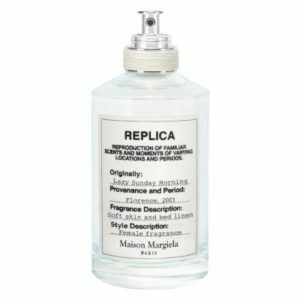 I love Maison Margiela’s fragrances. I am quick to get a headache with too much scent, and these are light and not overpowering. Lazy Sunday Morning is my day-to-day go-to. It literally smells like I woke up in Paris on a Sunday looking at the Eiffel Tower with a latte being handed to me! I really like some of the other scents as well: Jazz Club for the winter months and Beach Walk for the summer. Le Labo Santal 33: I literally have had people (guys and girls) follow me to ask me what I’m wearing—and that happens at least twice a week. So if you like to meet new people, it’s the fragrance for you. I’m pretty bad about wearing perfume regularly, but on a special occasion I’ll make sure to spritz on something. 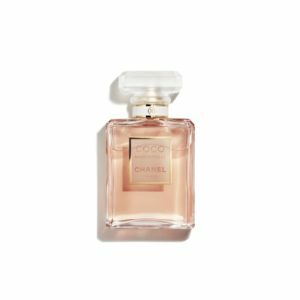 Coco Mademoiselle from Chanel is a favorite—a fresh take from a classic brand. While I recognize scents like a hound dog, I am terrible at describing them, so I’ll let their adept copywriters tell you what it smells like: “Sparks of fresh and vibrant orange immediately awaken the senses. A clear and sensual heart reveals the transparent accords of Grasse jasmine and May rose. The scent finally unfurls with the vibrant accents of patchouli and vetiver.” That’s pretty much what I was going to say.